Keeping your product catalogue updated is vital for both you and your customers. Some catalogs tend to be fragmented, miss products and product data. 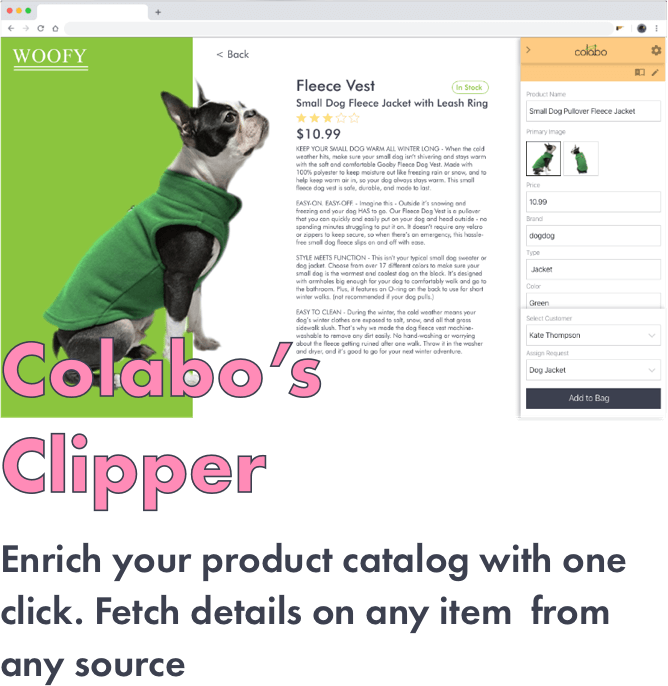 In one click you can fetch all the relevant information about a product from any website and add it directly to your catalog, saving time and keeping your catalog fresh and updated. Rich, detailed product information all ties back into a better customer experience overall and helps associates and customers make the right decisions.